We are offering high performance Flame Amplifier. An amplifier is basically electronic device which is used for increasing voltage, power or current of a signal. Range of Amplifiers Rated 230 V AC, 5 amps. 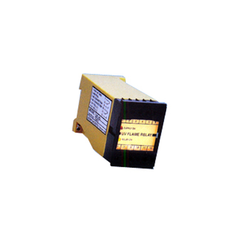 We offer UV Flame Amplifier, which is flame detectors and very sensitive to visible light. These amplifiers used CDS (cadmium sulfate) photoresistor as a light sensing device. Suitable for sensing flames in oil fired burners, Our Flame Rod Amplifier senses the flame using flame detection rectification technology. These amplifiers provide a voltage for the flame electrode. The flame electrodes are immersed in flame to be sensed. The current, generated by the flow of electrons through the flame, is detected by the controller for the presence of flame. These Flame Rod Amplifier are completely insensitive to visible light and refractory glows. It is excellently suited for sensing flame in gas fired burners. Looking for Flame Amplifier ?